You must first turn on the use of the DCOM servers. You do this by running the QODBC Setup Screen and selecting the Server Edition tab page. Check the checkbox for Use DCOM Servers. Note: If you're working with the QuickBooks sample company file, this option is available to check even if you do not have a Server Edition license and will be ignored if you open a standard company file and do not have a QODBC Server Edition or evaluation. Download the following automated tools by clicking here. 1. Dcpinst.exe is an installation setup for the automated DCOM configuration object. This needs to be run first and only once. 2. QODBCSetDCOM.VBS is a VB script that uses the installed configuration object to set up the DCOM Servers. It will reset and automatically add all necessary security each time it is run. The script can be edited if you need to change the Accounts it is configuring. 3. The new settings will not take effect until the DCOM servers (qbXMLRPeQODBCInteractive.exe which is only needed for 2003 and older QuickBooks.and qbXMLRP2eQODBCInteractive.exe) are removed from memory. Rebooting is the simplest way to accomplish this, but running the Windows Task Manager and Ending Process on any running copies will also work. 1. Launch DCOMCNFG.EXE by clicking the Start button, selecting Run, and typing "Dcomcnfg" in the Run dialog box. 1. 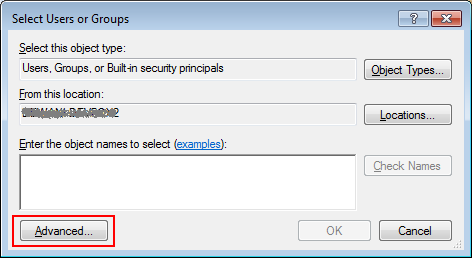 In the Security tab select Customize option in the Launch and Activation Permissions frame and click Edit, then add Internet Guest Account (<IUSR_<machine_name>), ASP.NET Machine Account (ASPNET) and INTERACTIVE to the Launch Permissions dialog box. 2. Press OK to save. Click the Advance button and find the Internet Guest Account. 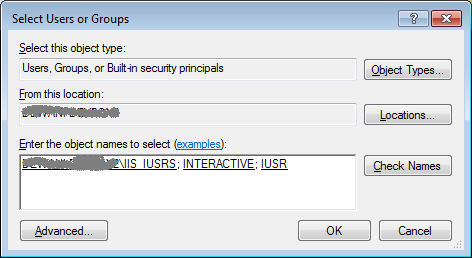 Note: in-case you are still unable to find or don't know the internal user invoking the component, you may add "Everyone" for the time being and once you have tested the connection, you may remove the user/group "Everyone" and add the internal user to this list. 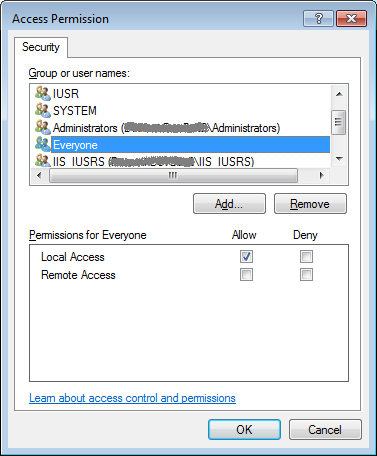 Please inform your System/Network Administrator if you are adding "Everyone" to the permission list. 1. 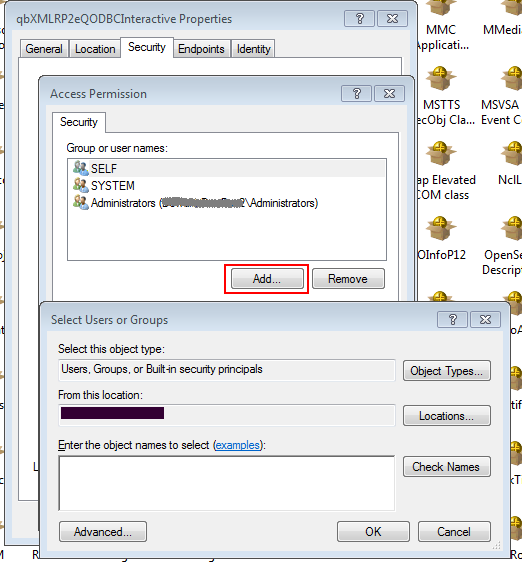 In the Security tab select Customize option in the Access Permissions frame and click Edit, then add Internet Guest Account (<IUSR_<machine_name>), ASP.NET Machine Account (ASPNET) and INTERACTIVE to the Access Permissions dialog box. Click the Advanced button and find the Internet Guest Account. Note: qbXMLRPeQODBCInteractive.exe is only needed for 2003 and older QuickBooks. So if you use the latest QB after 2003, you could ignore the below about qbXMLRPeQODBCInteractive.exe. Highlight qbXMLRPeQODBCInteractive and select Action -> Properties from the Main menu (Or right-click menu) just as before. 1. 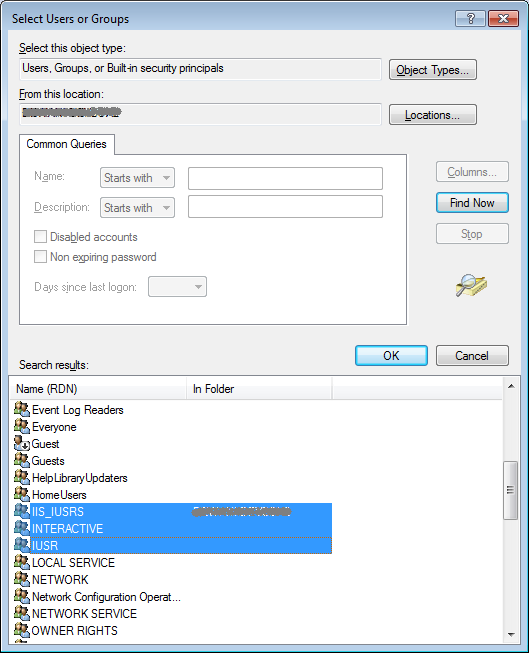 In the Security tab select Customize in the Launch and Activation Permissions frame and click Edit, then add Internet Guest Account (<IUSR_<machine_name>), ASP.NET Machine Account (ASPNET) and INTERACTIVE to the Launch Permissions dialog box. 1. 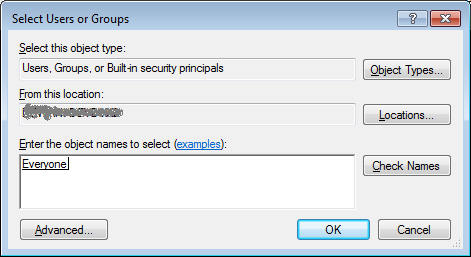 In the Security tab select Customize in the Access Permissions frame and click Edit, then add Internet Guest Account (<IUSR_<machine_name>), ASP.NET Machine Account (ASPNET) and INTERACTIVE to the Access Permissions dialog box. Run the Windows Task Manager and verify that qbXMLRPeInteractive.exe (only for 2003 or older QuickBooks) and qbXMLRP2eQODBCInteractive.exe are NOT running. End Process if they are. Launch DCOMCNFG.EXE by clicking the Start button, selecting Run, and typing "Dcomcnfg" in the Run dialog box. 1. Select qbXMLRP2eQODBCInteractive and click Properties... button. 2. In the Security tab select Use Custom access permissions and click Edit, then add Internet Guest Account (<IUSR_<machine_name>), Launch IIS Process Account (IWAM_<machine_name>, ASP.NET Machine Account (ASPNET), SYSTEM and INTERACTIVE to the Registry Value Permissions dialog box. 3. Press OK to save. 1. Select qbXMLRPeQODBCInteractive and click Properties... button. If you are using ColdFusion you need to create an ODBC Socket Data Source. Click for ColdFusion Data Source Setup Instructions. You can use the built-in "QuickBooks Data" System DSN which points to the currently open QuickBooks company file (.). The QuickBooks application can only access one file at a time, so your web application will be limited to the single open company file. Download and copy a sample script to your Web Site Scripts Directory. Start QuickBooks on the console desktop and open the QuickBooks Company file you wish to use. Access the Website using a browser. Point to the script on your server. You should get a customer list.